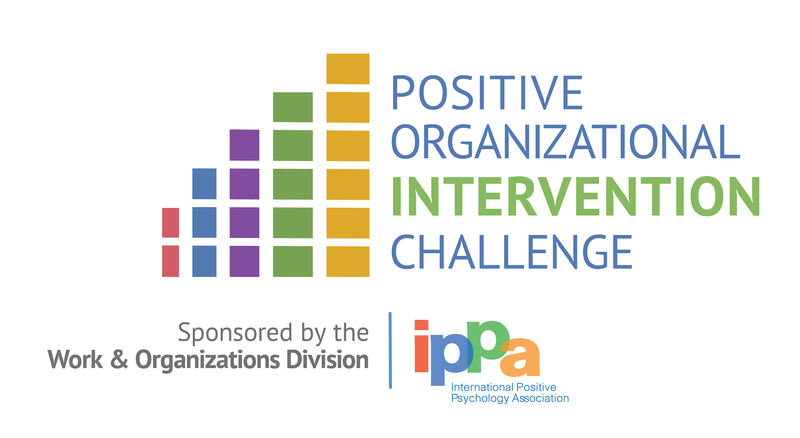 What is the organization hoping to accomplish with the intervention? Who is the target of this intervention (e.g. employees, managers, etc.)? What population is this intervention intended for? (e.g. type of organization or industry)? What problem does this intervention seek to solve, and/or what positive outcome does this intervention seek to enhance or create? 2. Has the presenter adequately described the components of the intervention? 3. Has the presenter provided empirical and theoretical evidence for the intervention? 4. Has the presenter made a strong case for his or her intervention? 5. Does the implementation plan seem well thought-out and appropriate for the population? If the team already implemented the plan, did they adequately describe their thought-process and learning? 6. Do the expected outcomes seem supported by evidence? If the team already tested the intervention, were the outcomes well measured and explained? Do you think this intervention would work with other populations? Thank you for sharing your intervention, and congratulations on your success. Would you be willing to share the key components/areas of the Success Profile? Thank you for sharing your intervention, and congratulations on your success. If possible, would you be willing to share the key components/areas of the Success Profile please? Thanks for sharing your proposal. I really find very interesting how positive interventions are a reality in nowdays companies: congratulations! I found very interesting your idea about making a succes profile. I think it could be a very practical tool to make present the employees personal strengths, helping them to share their psychological resources with their collegues. I would like to ask you something about the implemetation. How doy you prepared the meetings beween leaders and collaborators? I find very powerfull this idea abuot having these meetings related to planning actions based on strenghts using the SMART method.I wonder if it was possible to train managers to increase their performance in this task. Godd luck and congratulations again: very good job! Se tiene que llevar a cabo una capacitación previa a todo el equipo, líderes y subordinados, explicando de que se trata el programa y dando a conocer las ventajas personales y de equipo que pueden lograrse si este se hace de la forma correcta, luego seguir la metodología presentada en el video y hacer frente a todo el equipo un ejemplo estableciendo los objetivos por parte de uno de los líderes y posteriormente dejarles la tarea de hacer lo mismo con cada colaborador y estar siempre disponible para asesorarlos y apoyarlos cuando lo soliciten, finalmente, revisar con ellos lo realizado y en su caso hacer los ajustes que fueran necesarios explicando siempre el por qué del cambio y consensúan do con ellos la redacción definitiva. El seguimiento al cumplimientode los objetivos y el establecimiento de nuevos objetivos es vital para que este método funcione. Dear Luis! Thank you for sharing your intervention. 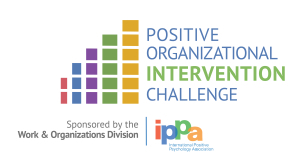 I hope you share with us your findings when you do the intervention with everyone involved in the organization. Best wishes! Gracias, es un gran reto, pero se que me dará la oportunidad de Fluir y vivir muchas emociones positivas así como el establecer condiciones que incrementen el bienestar de los colaboradores de la empresa. Me dará mucho gusto el compartir los resultados. Wow Luis! What a fantastic PP intervention you have designed at Cookies and Crackers Company. Your presentation offers very compelling visuals and is professionally put together. The way you have outlined and described the steps of your intervention is very clear and will be helpful for other companies who might seek to follow what you have done. The combination of your newly developed Success Profile with the OCIA provides compelling evidence to your company about the benefits of the strengths intervention. I can see why the company has now decided to roll this out company wide. Thanks for sharing such a well presented and evidence-based PP work intervention. Best wishes! I am really impressed by your presentation, it includes an important technical part based on positive psychology, as well as elements of modern management, really complete and visually well explained. Hola Luis y felicitaciones por esta presentacion! Without a doubt, increasing strengths-based awareness and establishing a common language within organisations is critically important in creating a more positive, inclusive and efficient work environment. Suerte en el congreso! A todos muchas gracias por haber visto mi vídeo y por sus amables comentarios. Luis, thank you for presenting your intervention to increase employee commitment and efficiency through a strengths-based intervention. I would like to learn more about the PP training that you mentioned was delivered to employees, as well as how you measured employee belonging, engagement, self-confidence, etc. Hopefully we can continue this discussion within the WOD.